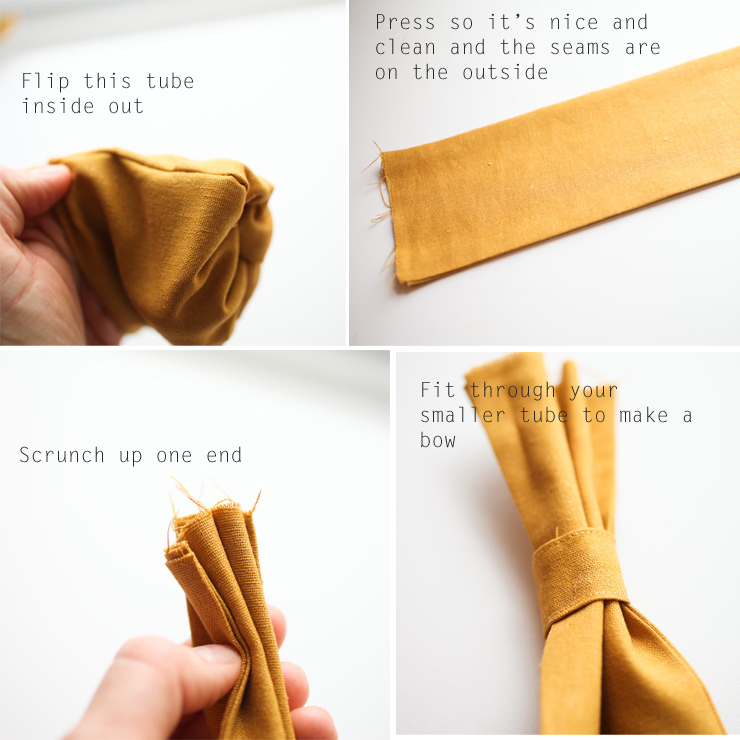 DIY: Bow clutch sewing tutorial. YES! You can sell this if you make it! Thanks for asking. Please give credit to Whitney Newby (www.elmstreetlife.com) for the pattern and design. **Also, please note except where I say, "Sew close to the edge," I am using a 1/2" seam allowance throughout. I have my machine set to this, so I am using the presser foot as my guide to sew 1/2" from the edge of the fabric. *I recommend a medium to heavier weight cotton for this. Linen is what I'm using, and it works perfectly. You don't want to use a quilting weight cotton or something really light - it will make the final product too flimsy. 1. Start by cutting your exterior pieces. I use a quilting cutting mat which makes things as accurate as possible. 2. Now cut interior fabric pieces. 4. Bring your strap piece to the ironing board. 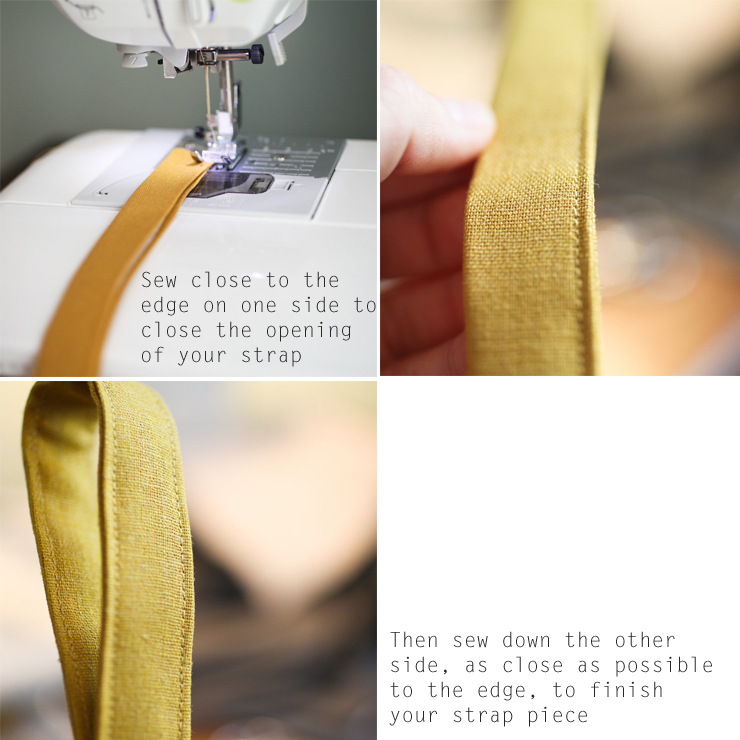 Sometimes, at the end of this step, if my strap doesn't feel sturdy enough, I'll cut a thin strip of interfacing and tuck it inside the crease before sewing. This is an optional step. 5. 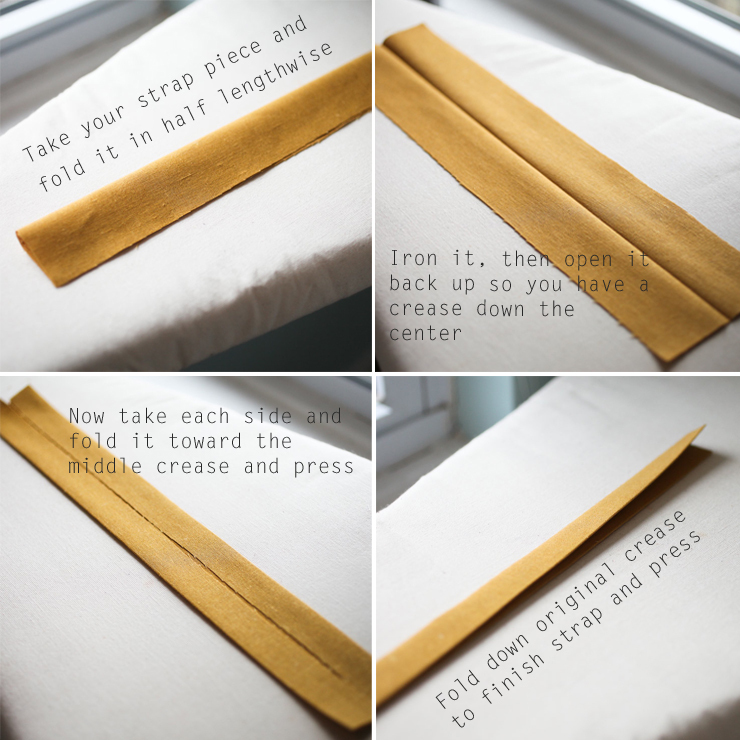 Now it's time to sew your strap. 6. 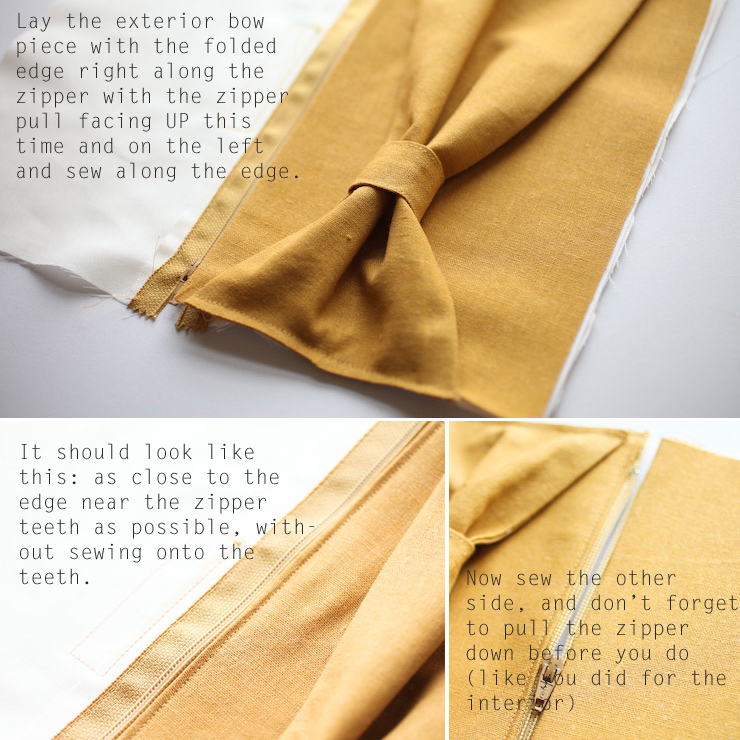 Set the strap aside and let's work on the "knot" of your bow. 7. Once you've gotten the "knot," let's work on the other part of your bow. 8. Set your bow aside for now, and grab your interior and exterior fabric pieces and your pieces of interfacing. 9. 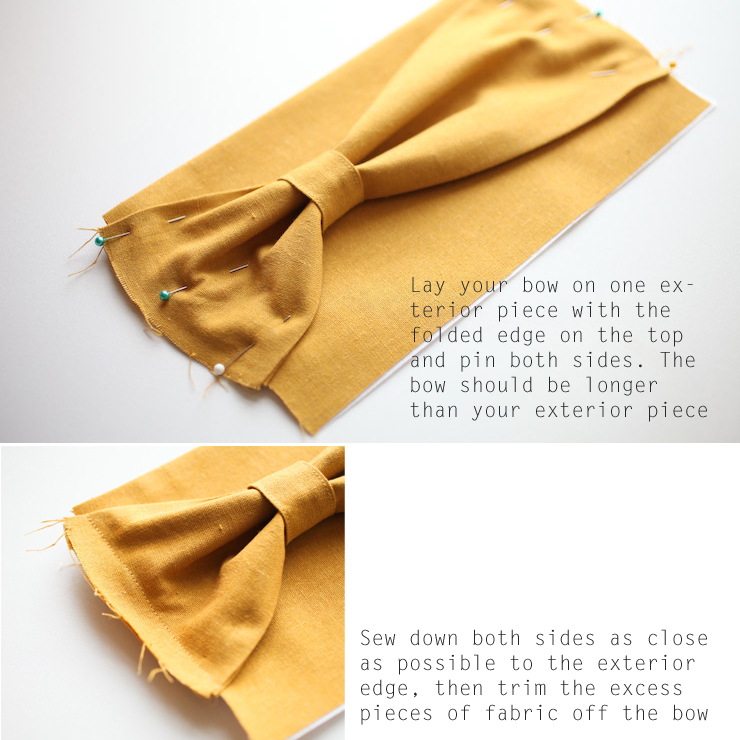 Now it's time to attach your bow. 10. Set those pieces aside and let's work on installing your zipper. 11. 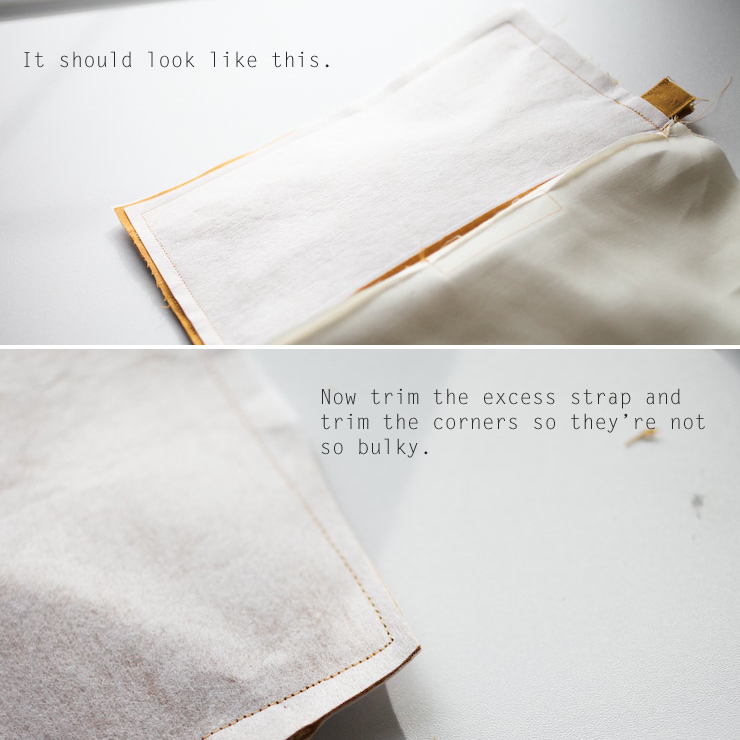 Attach the exterior fabrics to the other side of your zipper. 12. You're on the home stretch! Let's add the strap and finish the bag! 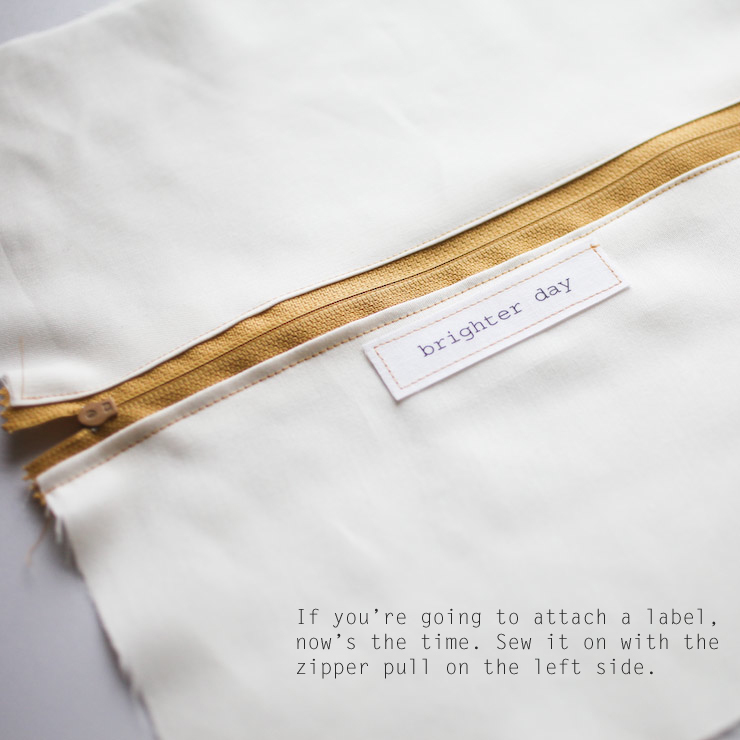 Also, if you like the bag but aren't a seamstress, I sell these bags in my Etsy shop: Brighter Day, and I'm happy to make them in just about any color! *The only difference in the one I just made and the photo at the very top of this post is that I rounded the corners a bit and added a darker zipper - both of which are options you could try! Thanks, Jenna! Good luck trying it out! I'm super excited to try this out! I'm a good friend of Sarah Kidder's. She's the one who introduced me to your blog (and also the one who taught me how to sew) which I love for all sorts of reasons. When I finish, I'll be sure to share my final product. Awesome - can't wait, Amy! This is amazing and so beautiful! I'm bookmarking and repinning! Great tutorial and pictures. I do sew, a lot, and like your project. We sewers like specific directions, so please add how big the seam allowances are. That is the measurement of the seam from the edge of the fabric to the needle. From your dimenions, I guess it is 1/2". 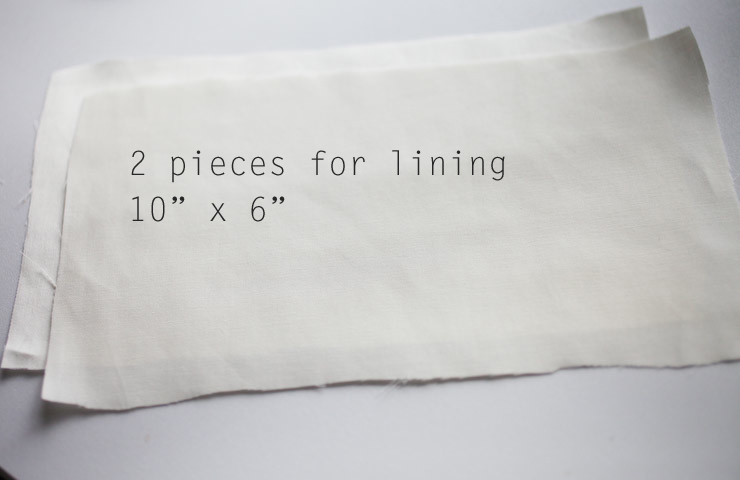 Just for your info, generally quilting projects use 1/4" and garments use 5/8". I think I will make some of these clutches for my 3 teenage nieces, they all have birthdays this month. Quick easy project and a great way to use up scraps of fabric. I've been wanting to teach myself to sew! This will be the perfect little project for me to try tomorrow afternoon! This is such a cute clutch. I may try it. Thanks for the tutorial. Thank you so much for all your time and effort. So cute!!! Pinning. Okay. In LOVE! I am going to JoAnns to get fabric and make this right now! Thanks for sharing! Awesome Tutorial! I'm going to make this for a friend for her birthday! If it goes well, which I'm sure it will, I will definitely be making many more of these. Thanks for posting this! Yay!! I'd love to see! Great tutorial! Thank you for sharing this. I'll definitely give it a go! Thanks for this post; I'm going to try it soon. 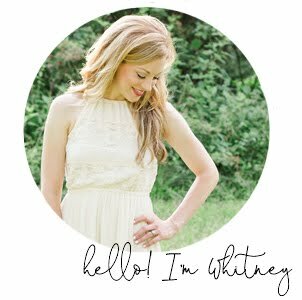 hello there Whitney, absolutely gorgeous.for sometime sewer like me,I think I can manage this.thanks. I sewed up some Bow Clutches this weekend! Great tutorial! Esse tutorial está muito fácil, obrigada por nos ensinar com tanta simplicidade. This was an amazing tutorial, and I've seen quite a few! I especially loved that your pattern pieces had the sizes on them, easy to find and see. I've sewn for over 40 years and I'm always finding some lovely project to sew. This one will make a sweet gift for a friend. Thank you so much for sharing! Wowww!! 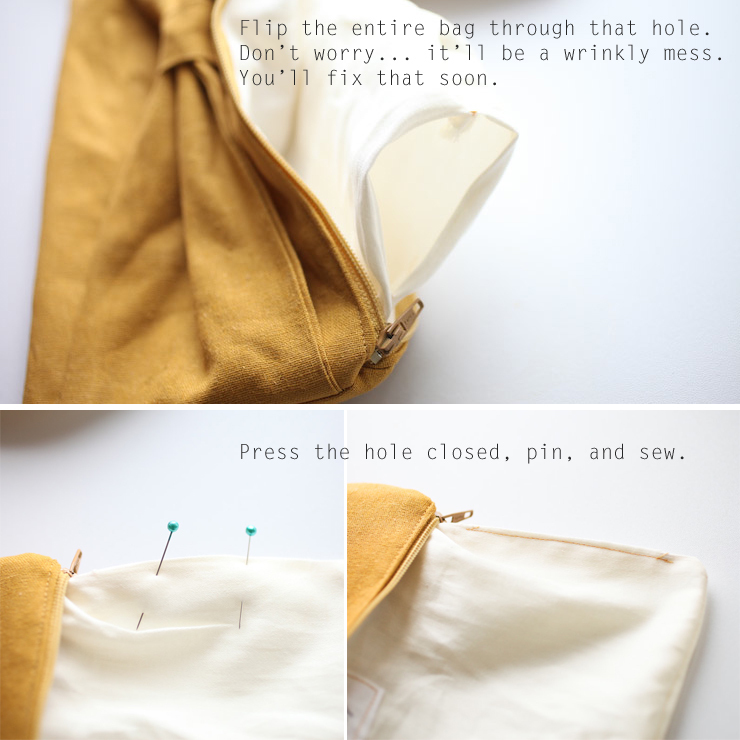 That is a very nice bag and a very detailed tutorial! I can't bilieve its your first one! Congratulations! Anyway, I might not know about all the details, but the things I manage to do, I write tutorials, like you! Congrats again! and happy sewing! I think you're grandma's right. :) I'd love to take a sewing class one of these days! Thanks for the tutorial. I will be trying this soon. Thanks for the great tutorial! I made one for my friend's birthday and she loved it. There are pictures on my blog. Love, love, love the chevron. Thanks for blogging about it! ok im sooooooo making this!! pinning it now!! onto here---> http://pinterest.com/keepinitthrifty/diy-inspired/ EEEk-- so excited! Thanks for such a great tutorial! I am anxious to do this bag soon. Thanks! This bag is very nice! I will visit your site many times. I LOVE that you were so detailed and wrote on each piece of fabric and each picture. It made the tutorial super easy to follow. Can't wait to make mine. Oh yay! Love this and I am totally going to give this a try. I am a beginner, but have taken a few classes. I look forward to making this and will post it on my blog once I'm done! Thank you so much for this easy and awesome little clutch pattern - I saw it today and had to make one! I can send a picture your way if you care to see how it came out. I used your basic pattern and added my own jazz to it. I'll be giving them to my bridesmaid at my wedding - so thanks a bunch for giving me the instructions and inspiration to make such cute little clutches. I absolutely love them! Whitney! This was amazing! I made one for my best friend for her birthday and she LOVED it. I, of course, then had to make one for myself. they both came out really great! Thank you for taking the time to post this! Thank you for sharing this beautiful bag! Your instructions were very clear and well presented. This is awesome! 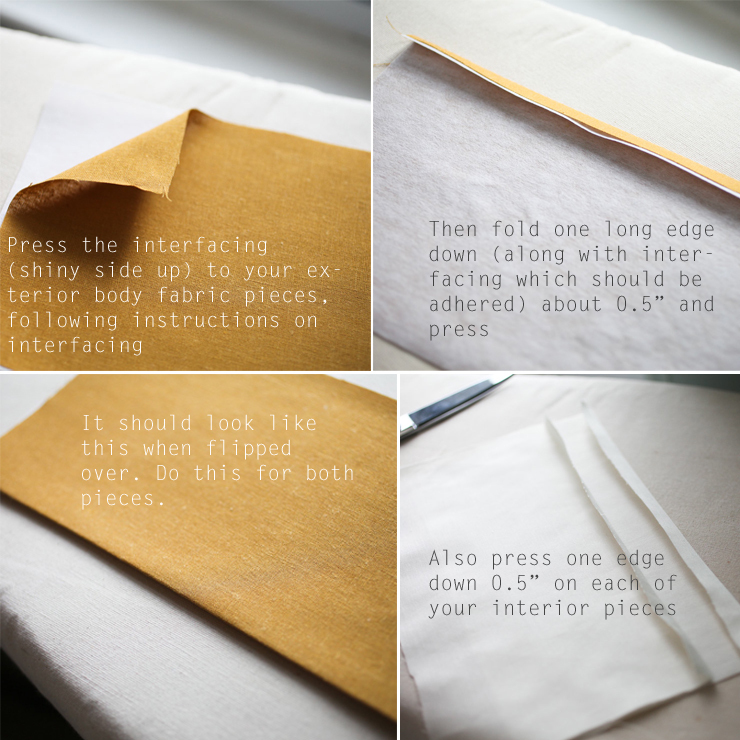 I just did a little tutorial for an envelope clutch on my blog. I like yours more, though! Well done! Great tutorial! I saw it yesterday and couldn't stop myself from making four of them. I didn't see a flickr pool or anything, so here's a link to my blog post with a photo! I didn't photograph all four, since i'm hoping to keep some of them under wraps as gifts for a few more weeks. Thanks again for the great tutorial! I love it, Aubrey! You did such a great job!! I can't wait to make more! Also, I love your blog :) Thanks! So beautiful!! You did a great job! Goodness... I can actually understand this! Brilliant job on the tutorial, it's one of the best I've read! This is too amazing. Keep the tutorials coming, very explicit. Simple yet pretty. 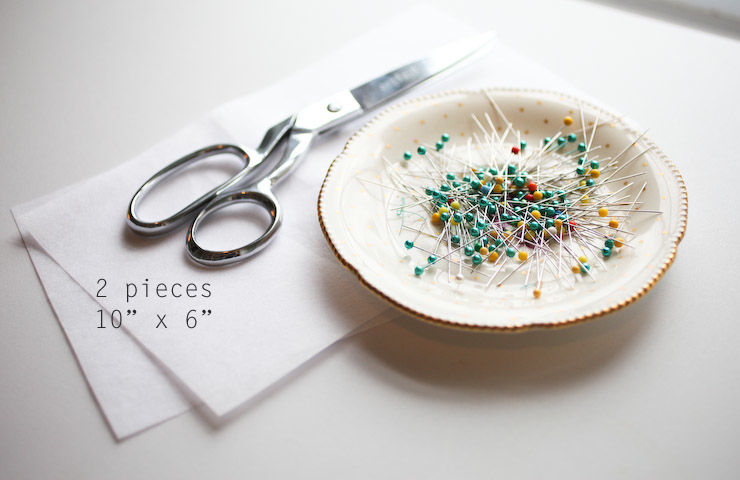 :) I ADORE your refinement in sewing. Me, however, I always manage to stitch askew. I absolutely love the bow on this! Thanks so much for showing how to make one. Found this via Sunny Vanilla. I love it! I am following on GFC. Would love it if you wanted to follow my new blog too: http://craftbotic.blogspot.com! 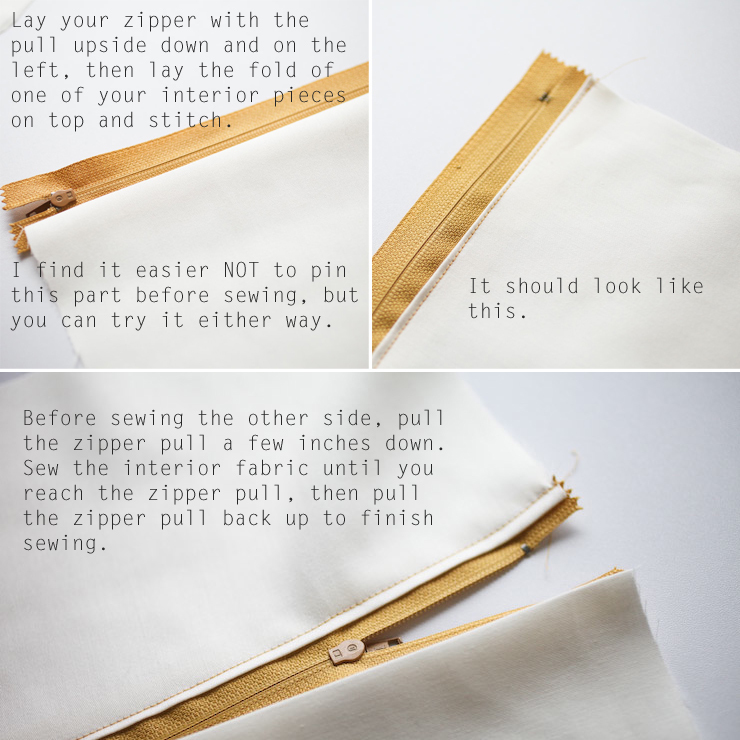 just found your blog through pinterest and want to go buy a zipper tomorrow and make this weekend! I just bought some fabric at IKEA that I loved for the pattern but it's a little home decor-ish for clothes. This would be perfect! 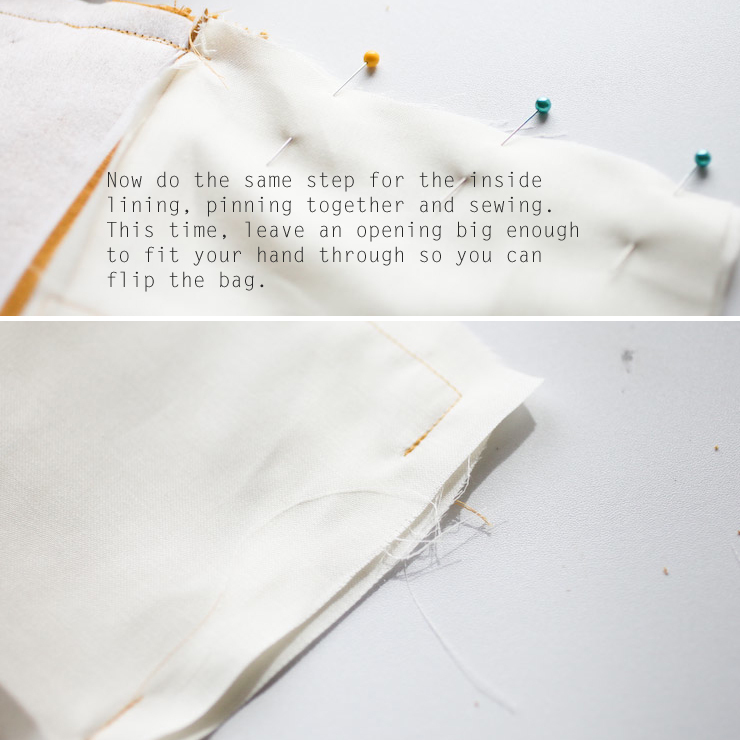 I am learning to sew mostly through blogs and tutorials as well and it is wonderful. I've taken a couple classes but without tutorials like yours I wouldn't have such a variety of easy, CUTE projects to try and build my skills and confidence. Nice job! 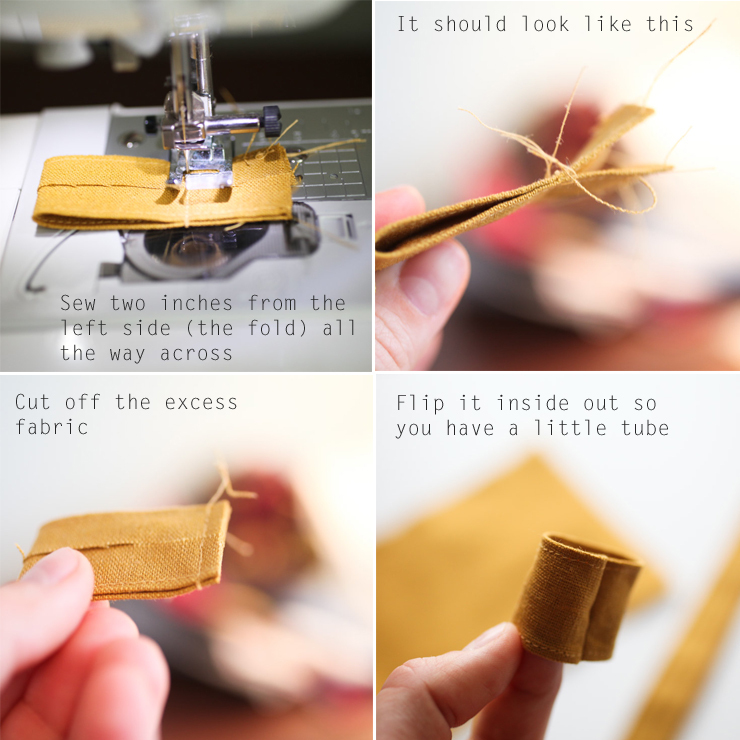 This is a really great tutorial and even inspired me to create my own tutorial but for sewing a wallet. I recently found your blog, and I'm hooked. I relate to a lot of the things you share here, and it is very encouraging (adoption, God, etc. ), so thank you for sharing! You did such an awesome job! Thanks for sharing, Pao!! This was a great tutorial! I've never lined anything or installed a zipper before, and I had no problems following it. 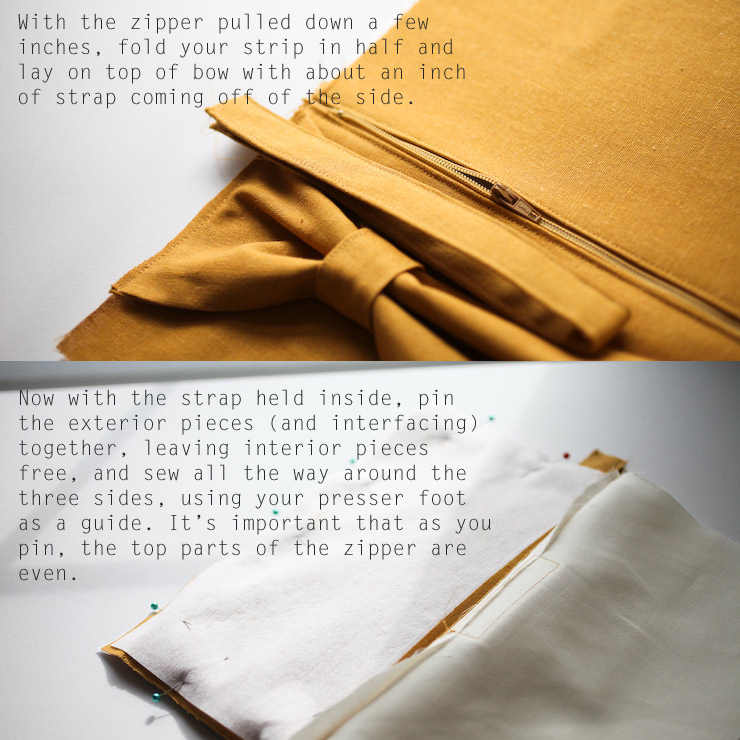 One note: when I finished the bag, my strap was tucked inside the bow, and I didn't understand what I had done wrong. It took me a day to realize I hadn't fully "flipped" the bag when I turned it right side in and the bow was on the wrong side of the bag. When I flipped it around so the bow was on the "front" and not the "back," all was well. I'm so glad you said that! We had a couple girls at sewing night who did the same thing and it was confusing at first, thinking they'd sewn something backwards. I'm glad you got it figured out!! Laila, it's beautiful! Thanks for sharing!! I am a new sewer, and followed this tutorial successfully. The only thing that let me down was the neatness of my sewing which I guess will come with practice. I have real problems with zips still, even with a zipper foot. However, as the bag is for me, it doesn't matter...I love it. I will be making one for one of my best friends soon, hopefully with straighter seams! Thank you for putting this out there. I will be posting a photo of the finished article on my blog, linking back to you tomorrow. (Sunday) I hope you like it. I found you through Pinterest. I just finished following this tutorial and WOW it was FUN! I feel so accomplished. :) My husband and I are going to a concert tonight and I'm off to change my clothes so I can take my clutch! Thank you so much for sharing and God Bless. I finally bought a sewing machine today....and this was my first project! It looks great! Thanks for the great tutorial and adorable bag pattern! ooooohhhh wwooowww!!! thanks, thanks a lot for share this amazing DIY with everybody. And it understands very well, cause I'm from Barcelona and my english is a little bad, :), but I understand you perfectly!!! Your yellow bag is so cool!! I did it to match my infinity dress I just made (awesome project!) which is blue, so I used black for the exterior of the back and the extra blue from my dress for the bow- it looks so cute! Thanks for the tutorial! That is awesome! I am definitely going to be making this Little Tin Soldier and Holly Dolly are hosting a Clutch Party on their blogs! I just found this website yesterday and made the clutch today. It's so beautiful, I love it! Thank you. I haven't sewn in a while... I think I might dust of my old Singer and try this! This is such a great design with a very clear tutorial. Thank you so much! Thanks for the detailed tutorial! I'm not much of a sewer so I rely heavily on blogs like yours! The last thing I sewed was an iPad cover and I'm certain I did it wrong! I'm in love with this tutorial! I think I'll be stopping by Hobby Lobby later to pick up some fabric and a zipper. We're going to Hawaii in a couple weeks and I need something like this for when we go out to dinner and I don't want to bring a big purse! Thank you thank you! Oh how beautiful! 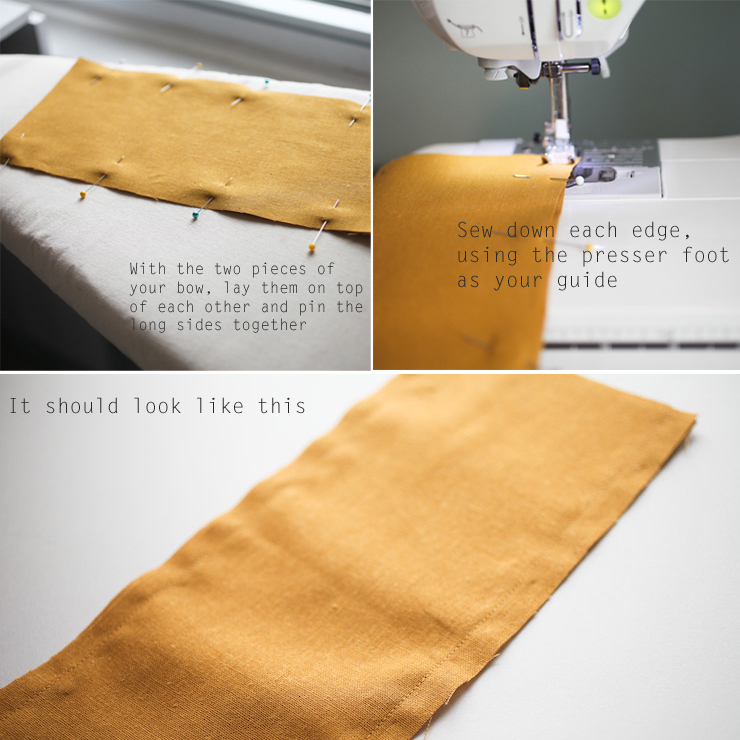 This is a beautiful tutorial, I haven't used a sewing machine in literally over a decade, so I think I'm going to have to take my time to get to this skill level. Firstly will have to start with dusting it off....but I'm so glad I found this, it's lovely. Thank you! Great Tutorial!! I made this for a friend who sadly is moving :( But I know she'll love it! Thanks for sharing. I made one last night out of white satin for my wedding. I don't know how to upload a picture, but it turned out beautifully!! Great project! Turned out amazing and super quick! Thanks for the pattern! Thanks for the tutorial! I found some lattice patterned fabric this week and made this! The bottom edge really is straighter, but in propping it up, i guess I pushed the fabric back a little and didn't notice it until just now. Hi! I just wanted to thank you for sharing this. I made this last week for my daughter. She is getting married in a few months. It caught my attention because the bow made me think of her shoes for the wedding. I used white bridal satin for the exterior and for the interior fabric I hand embroidered her wedding date and the "Something old, something new..." verse. She can use it on her wedding day to have something to carry if she needs it that's handy but not bulky. But then use it as a keepsake afterwards to store her garter, sixpence, and other small sentimental items from her wedding. Again, thank you for posting the directions. I have very little sewing experience and The directions were very easy to understand and it helped me make an item that I'm sure my daughter will cherish for years to come. I've had several compliments on it already and have been asked to make another one for her friend who is also getting married. I just found this tutorial and it looks like the easiest to follow I have ever seen. I will be making this after exams! Thanks so much. Can't wait to try it by myself. My friends will love it. And I won't tell them how easy it is to make. Thank you!!! i want to try this. i was reading you're info on the side and its sooo amazing how we have a lot on common. expect for the married part and Tennessee, we the same lol. Finally made it ! It was o easy thanks to your step by step tips ! Thank you very much for this lovely idea. This is one of the clearest tutorials I have seen. Amazing photographs and instruction. Thanks for the tutorial. Made one for Mother's day. Thanks for this tutorial, it's perfectly clear, even for a french girl like me! Just finished 5 for my bridesmaids. They turned out so very beautiful. Thank you so much for posting the tutorial! If you'd like to see pictures, just let me know. Darling!! and the tutorial is so easy to follow. Thank you so much! 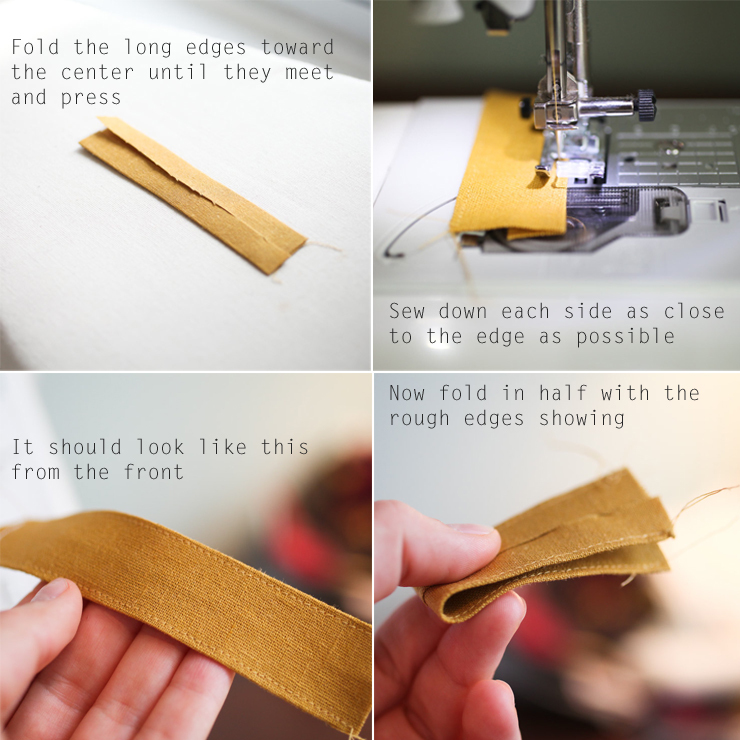 I am amazed this your first sewing tutorial.You have made it very easy to follow for a sewing beginner like myself. Thank you. Also, this tutorial was fabulous and the pattern was wicked easy. Thank you! if you want to peek at my version. This is an AMAZING clutch, and the tutorial is perfect! I just made one in an hour - start to finish! I'm making wristlets for a bridal party, and I decided to make this one for the bride, in the same fabric as the bridemaids' dresses and wristlets. I used some fusible fleece to make the silky fabric more sturdy, as well as the interfacing you recommended. It is awesome! Can't wait to give it to the bride!!! I have made two of these clutches. The first was cute, but the second turned out PERFECT! I would love to share the pictures, as a "Thank You" for the tutorial. How do I go about doing that? I did it too! Although I skipped the bow part! Awesome Tutorial! Thank you so much! I turned a scrap piece of material into a wonderful clutch that I'm now going to embellish mine with tiny pearls for full out 'girlyness'!! I can see a whole bunch of these in my wardrobe!! This is adorable. My granddaughter would love it. Think we have another project to add to our list. Thank you. I had to dig out my sewing machine from storage just to make this! And now, I'm addicted. I've made 3 and about to make 9 more as bridesmaids/bride gifts for my sister-in-law's wedding. Thank you for such a detailed tutorial and for inspiring me to start my own blog! I've linked your site to my post- you deserve all the credit. Thank you! Thank's for this lesson ! Even if i'm french and my english is not so fluent that I had wished, I riched it ! Thanks for the tutorial! I love your linen one. I just made one using some black and white houndstooth fabric. Thanks again! My friend begged me to make this for her and I just finished whipping it up. I cannot thank you enough, your instructions were perfectly clear and I loved having the pix to refer to. As a relativly novice sew-er it came together beautifully. I just wish I could show you some pix of my work.. I used the interfacing you recommended but it wouldn't fuse to the fabric... any idea why that would be? I ended up having to sew the interfacing to the fabric. Strange. Hmm... did you make sure it's the iron on kind? There is a lot of interfacing that's only to sew-in. I guess I'd just make sure you're ironing to the shiny side and following the instructions on the bolt. Sorry it didn't work! Megan: The Craft Fuse stuff requires moisture to fuse it. You need to either dampen a towel and press it over the fabric and the hit it with the iron.. or do what I do and get a spray bottle with some water and spritz the fabric (laid over the craft fuse) and then steam that right onto it. It should fuse right up as long as the iron is nice and hot for cotton fabric setting. I haven't even looked through the rest of your site yet - I found this one and had to make it straight away. 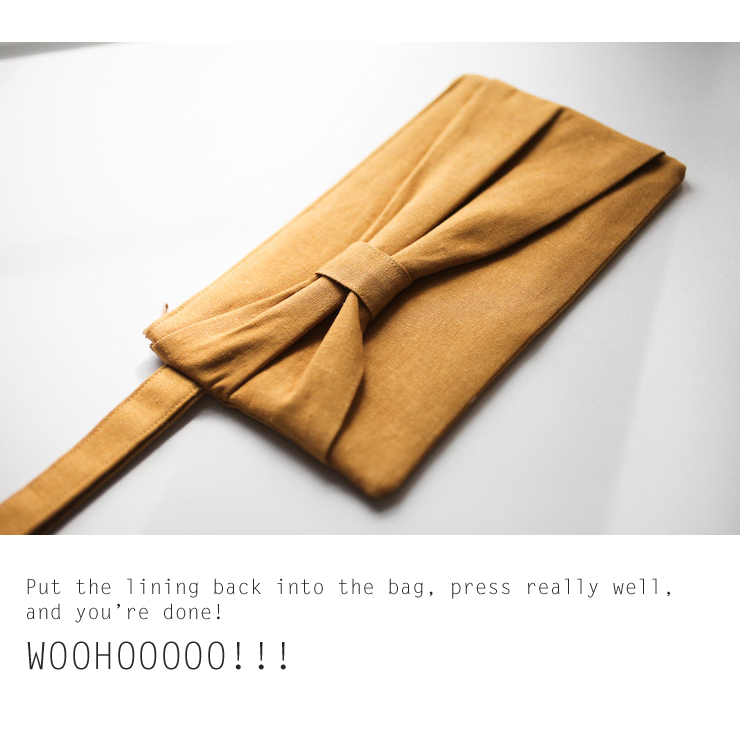 Here's my result: http://www.leahbaade.com/sewing/bow-clutch/. I have mixed feelings about it but I really like it so I might give it another go in a couple of weeks. I just made this adorable clutch! I am a beginner, I mean a real beginner, this was my first time installing a zipper!! It turned out great, I can't believe I made it, your instructions were so easy to follow and the pictures really helped. Thanks for this great tutorial by far one of the best zipper tutorials! Love this clutch! I made one up out of curtain fabric, and I get oh so many compliments on it. It was quick and easy to do! Thank you for the fantastic tutorial!! I am a novice at sewing, and it took me forever to do, but it's cute and I'm giving it as a gift. I know she'll like it. thank you so much for this tutorial. 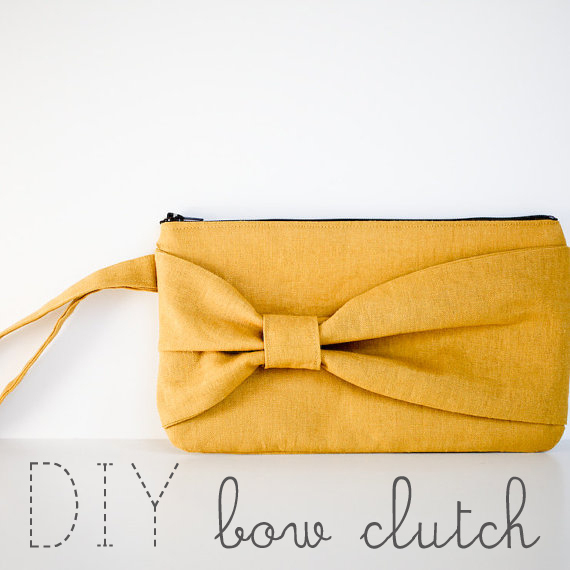 It is fantastic and I already have now "my own bow clutch". It was really easy to sew and it didn't take much time. This is exactly the kind of tutorial I was looking for! Super easy and simple, but great style! 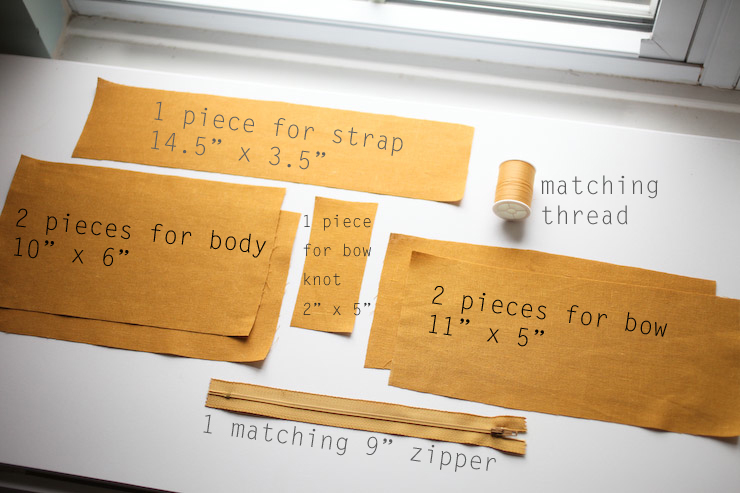 I'm going to be attempting these this afternoon to make clutches for all my bridesmaids! Once they're done (and after the girls have received them), I'll be sharing your tutorial on my blog! Thanks so much for sharing and breaking it down into such simple steps! This is adorable!! I can't wait to try it out. Might make a great prize at my sister's baby shower too. Thanks for the step by step picture tutorial!! Great tutorial! I made a bag today and I love it! Hi! :) i love this & am planning to make this soon! however, i dont have the Pellon Craft Fuse interfacing! i was wondering if instead i could use just a thick fabric or maybe an old shirt? would that work? Hi, I think this clutch is simply adorable. I want to make this soon. I was wondering if this would work with a patterned cloth. Would the bow not show up against the bag? Or should I just use the patterned cloth and make the bow a different cloth?? What would be the best?? Thanks! SO impressed that you hand sewed the whole thing!!! Thanks for the awesome tutorial! I'm so excited to make one. At what step would you recommend rounding the corners? (like in the photo at the top.) I just love that look! I love it! Thank you for the tute. This is so freakin' cool! I LOVE the bag and your tutorial is phenomenal! Hi... Thanks for the awesome tutorial! It was very understandable. I have a question: I have meny zippers in size 18 cm. In your tutorial the zipper is 23 cm. How can I make this clutch that it will fit to them. Hmm... not sure there's an easy way other than adjusting all the measurements to fit a smaller zipper! Good luck to you! Gr8 Gr8 tutorial so easy to follow ....and yes by the way blessings for your new born baby if it's there yet!!!!! God bless!I reposted your tutorial i love it! This is wonderful! Your directions and pictures really made it fool-proof. Thank you so much for sharing - I've made one and I will be making more soon for Christmas gifts for the ladies in my life! Done one, very easy tutorial! Thank You, and congratulations for your baby! Its really nice and simple tutorial. I made this in no time. I actually made this merely with cotton blends I had left over. I ended putting batting on the backside of the exterior to "thicken it up" and it came out just fine. Actually I quite love this!! Great little bag for my few things I carry. I'm really new to sewing I normally just wing things - but to follow a pattern this was VERY easy to follow along with. Terrific Pattern! Yes! I'd love to see the link when it's finished! Love this clutch. Thanks for sharing. Here's the one I made last night. This is fantastic! My daughter made one for herself and uses it all the time. She chose a grey wool fabric for the main body, and a bright floral bow. It looks really trendy. I hope to make one for myself next. Thank you for the really clear tutorial. Thank you so much for this very simple and easy to understand tutorial. I made a total of 6 bags to give away as Christmas gifts! I made a simple pattern from the dimensions you provided and was able to cut out several at a time and sew them up quickly. I used a beautiful bright red with a grey patterned fabric lining. Very beautiful and classy for a night out. Thank you so much! I have one proud daddy. The best birthday gift. Ever.